A heartfelt tale of one woman’s journey to discover the secrets of her mother’s hidden past—and confront her own uncertain future—for fans of Emily Giffin’s Southern charm and Jennifer Weiner’s compelling, emotionally resonant novels about the frustrations of blood ties. 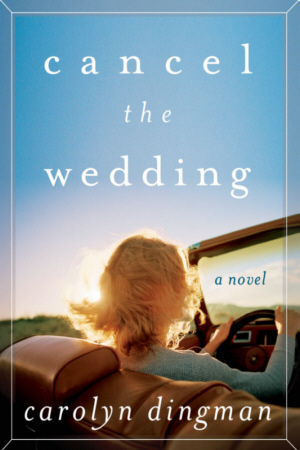 Jane’s request offers Olivia a temporary escape from the reality she’s long been denying: she hates her “dream” job, and she’s not really sure she wants to marry her groom-to-be. With her fourteen-year-old niece, Logan, riding shotgun, she heads south on a summer road trip looking for answers about her mother. As Olivia gets to know the town’s inhabitants, she begins to peel back the secrets of her mother’s early life—truths that force her to question her own future. But when Olivia is confronted with a tragedy and finds an opportunity to right a terrible wrong, will it give her the courage to accept her mother’s past—and say yes to her own desire to start over?